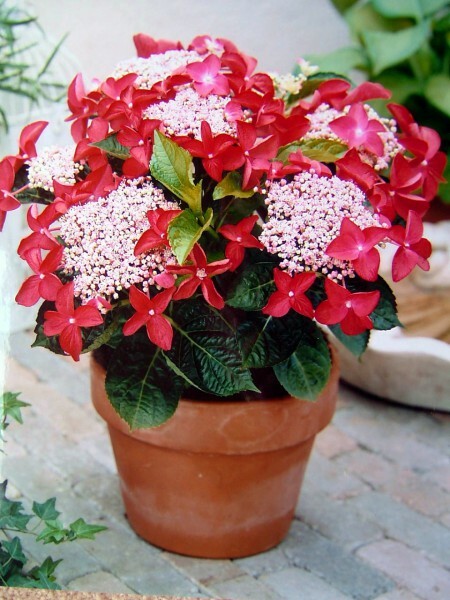 A delightful lacecap Hydrangea with rich strawberry red outer petals and delicate white buds at the centre, with lush, dark green foliage with a dense, compact habit. Flowering from early spring through to autumn. 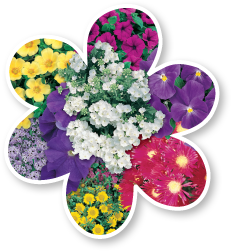 Great for gardens, containers, indoor pots and mass planting. Plant in moist but well drained, humus rich soil in a semi-shaded position. Height to 1m and width to 1m. Avoid waterlogged soils. Regular watering required until established.